Elegant buildings to house complex processes. 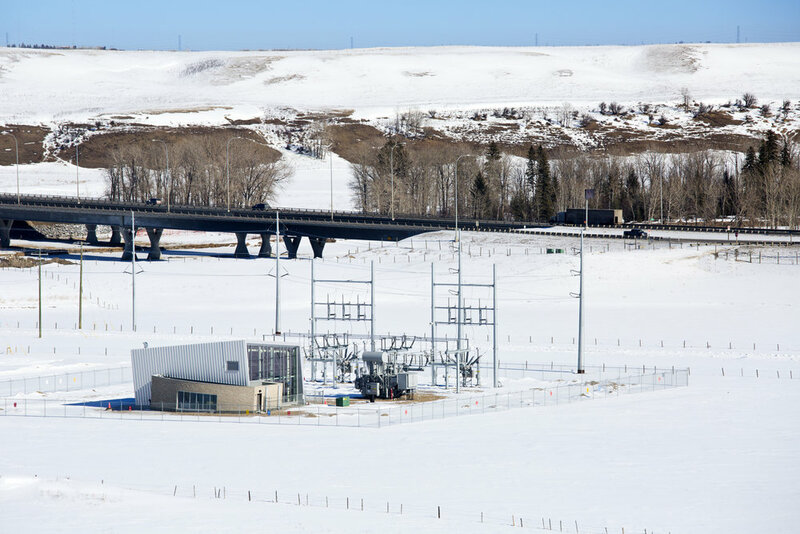 Enmax required 5 new substations to support increased energy distribution throughout Calgary. These light industrial buildings vary in size and location, but have in common the fulfillment of ENMAX’s desire to improve the quality of their building facilities in both technical and aesthetic terms, responding sensitively to their physical environment, particularly nearby residential neighbourhoods and natural river-valley environments. All substations are governed by a consistent approach to their functional layout, differentiating between the machine-scaled space of the switchgear bays and the more human-scaled space of the plan rooms and monitoring facilities. In addition, generous use of windows and translucent materials allow natural light into these spaces. The intent is to ensure that employee comfort is given high priority when these buildings are used as workspaces.